The Single Day Intensive Workshops allow you to focus and grow in each specific area of dance technique. Each one is delivered as a full day workshop, that can be taken for your area of interest. The classes typically run from 9am to 5pm, which allows each area to be explored in greater detail and provides age appropriate progressions, modifications for injury & personal experience. How we approach the training of the core has evolved drastically over the last 10 years to include a much more holistic approach. Recent focuses include how to incorporate breath into our training of the core to subtly activate muscles like the pelvic floor and transverse abdominus in an more effective way. Core training does not focus solely on training the abdominal muscles but must look at the interconnected muscular contractions of small stabilisers throughout the body to create their true stability rather than brute strength. The new approach looks at utilising the body’s natural ability to stabilise itself and how exercises can be done to further reinforce that mechanism whilst also raising kinaesthetic awareness. The course is broken down into stages with each stage comprised of different exercise assessments, allowing the dancer and teacher to gauge at which level they currently stand. Each stage becomes incrementally harder to involve more elements and dynamic movement of the spine. Many teachers struggle with hip pain and injuries in their adolescent dancers, but few realise how much of this stems from the training that children had in their early years. This course delves into the delicate art of training turnout in tiny dancers, through to adolescents. In conjunction with early childhood Master Teacher Beverly Spell, we explore safe ways to develop both range and control in young hips, preparing them for higher level work in the future, while having fun with creative play in the classroom. All good learning is laid down in layers; we explore what concepts need to be introduced at what ages and how to practice this in class. Some students seem blessed with lots of range but lack the ability to control it, while others constantly struggle with the mobility of their hips. This makes training a group of students a constant challenge. In this systematic and comprehensive approach to training turnout in young artists, Lisa and Beverly provide dance teachers with direct techniques to use in class to safely develop optimal range and control of motion in all dance students. This program begins by establishing strength and control in parallel, before adding on the control of rotation, which is hugely important in the long term health of dancers’ hips. Using elements of fun and creative play to bring scientific and detailed training programs into dance schools is a unique and effective way to help thousands of young students worldwide. We believe that at younger ages, children should be playing and exploring the full movement of their bodies. 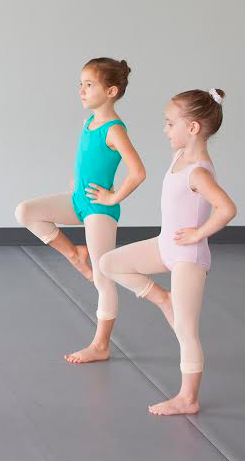 Pushing them into ballet class at a young age and not letting them do anything else is a way to diminish all natural movement and lower their body awareness. Climbing trees and swimming, for example, are great ways for them to train the diagonal fascial lines that run through their body which will help them later in their careers once they start performing more dynamic movements. 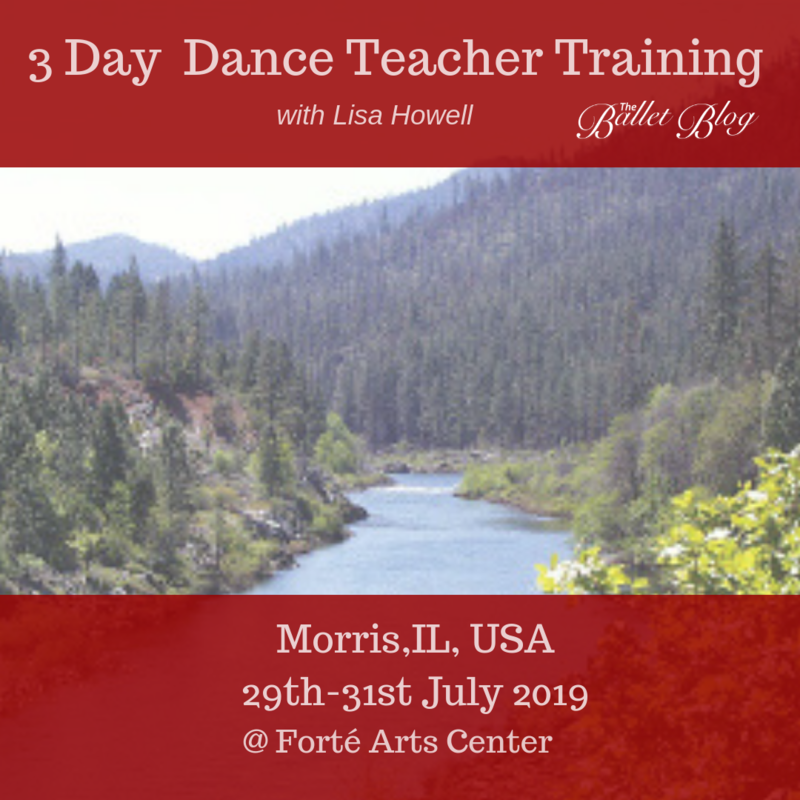 This course is perfect for teachers who are looking to incorporate the right preparatory exercises into their tiny dancer classes to help them develop correctly and avoid injury in their hips. Girls dance on pointe for most of their careers as ballet dancers so getting it right at the very beginning is crucial to ensure a long lasting career, one that is injury free! This workshop is designed to give you the most up-to-date advice in the industry to help you understand your students’ needs and give you the tools to help your students become the best dancer they can be. Dance teachers often feel unsure of how to work with those students who don’t naturally have the facility for pointe work. However, these students often end up being put onto pointe anyway, despite not having the appropriate range or control in order to keep up with the class. Some do send their students to be individually assessed but many therapists feel unqualified to conduct in-depth pre pointe assessment as they have been explicitly trained to do so. We know that getting onto pointe can be a race between some dancers and peer pressure can be high to stay at the same level. For this reason we include lots of tips to ensure that each student progresses as quickly as possible with the necessary strength and mobility. These include mobilising, massage, easy strengthening exercises. It may seem hard to get rid of bad habits in young dancers, but it is equally as hard to get rid of good habits! Our Pointe Intensive is designed for both teachers and therapists! What make makes one person tighter than the other? Why can one dancer do the splits without stretching while others can’t?? How do I help student get their leg higher in second when it just feels like it’s stuck in the socket??? How do I deal with a class full of students with different levels of flexibility???? Answers to these challenging questions will be answered in this full day intensive workshop with Lisa Howell! The body of research & development around the art of flexibility, and especially the fascial system and its effect on our mobility continues to grow. Understanding the relevance of this to the dancer is essential for all students, teachers and health professionals. Many traditional stretches and even many "Myofascial Release Techniques" may actually be doing more harm than good. Flexibility or lack of it cannot be fully contributed to muscle tension and must be looked at more comprehensively to understand the true cause of any restrictions in one’s range of motion. Factors like joint shape or position, neural tension, fascial tension, breath, postural habits and even emotion can all contribute to lack of flexibility in an individual. In this one day workshop, Lisa addresses each of these issues and looks at common cases in individuals and how to effectively treat these issues. Although every dancer isn’t born with 180 degree turnout, flat splits in second position and développés to their ears, there is no reason why the others should feel inadequate and left behind. 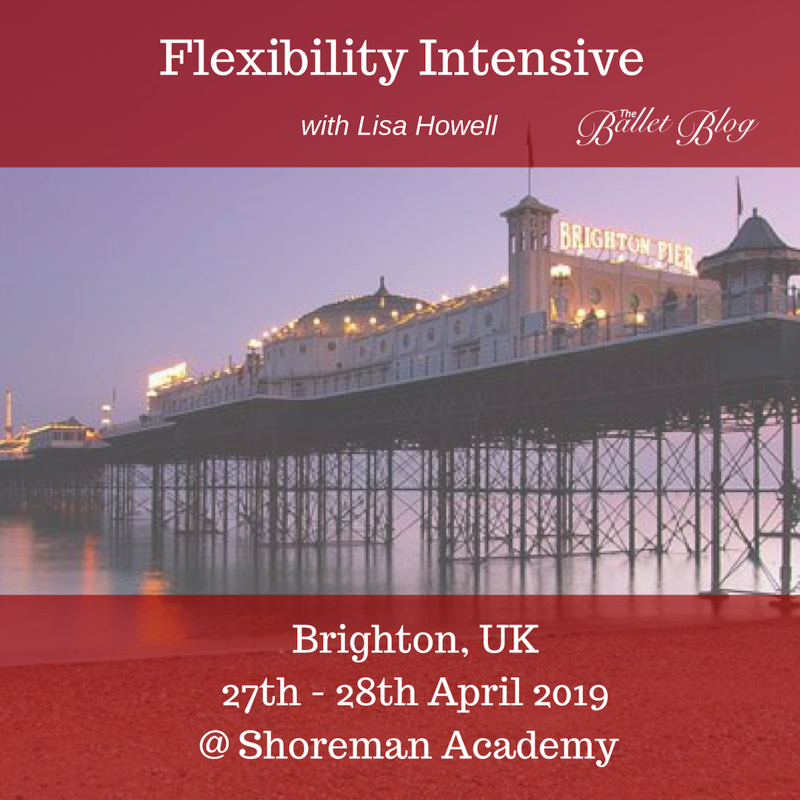 This workshop teaches how too properly (by which we mean safely) achieve maximum flexibility in your students and for them to start seeing their flexibility goals become a reality. If you are struggling to find exercises to fit all students or feeling frustrated because you feel helpless with a particular student who just isn’t making the gains every other student is, go no further! This workshop will help you assess your students in detail and be able to offer them effective techniques in a logical clear order to get them on the way to achieving THEIR best flexibility. Although chronic hip pain should never be a “normal thing” for young dancers, the reality is that many dancers all over the world are suffering from chronic hip pain without the faintest idea of what to do next. Regular physical therapists and physiotherapists are often at a loss at what to do because of the complex nature of dance and can often only prescribe rest and recovery. We all know very well that this kind of news does not go down well at all with dancers, nor does it have a good outcome. Hip pain and clicky hips come from a myriad of anatomical and technical faults, all of which must be identified and addressed. Otherwise the complaint will simply re- occur after rest and continue to impede the dancer’s progress. This course is specifically designed for teachers and therapists as it offers a valuable insight into the true nature of hip injuries and how best to deal with them inside and outside of the classroom. it also empowers both teachers and physio’s to work on these elements with all students to help prevent the initial symptom from becoming a full blown injury. So, what makes this course different from other courses? Lisa has been a dancer and has been working intensively with dance students for the past 16 years. She has an outstanding understanding of the dancer’s body and the expectations and stresses that are upon it. She has had years on invaluable hands on experience and has discovered hundreds of tips and tricks that will help you solve all of your students’ hip problems that she will share with you. Not only do you learn the basic principles of injury, assessment and rehabilitation but you will get real hands on work including taping skills, massage technique and manual manipulations for therapists. Guided by Lisa, you will be able to confidently identify basic underlying problems and areas of tension throughout the hips and the rest of the body. Take your teaching and understanding of the dancer’s body to the next level and help your students get back to what they love doing! Chronic stress and overloading is the main cause underlying most foot and ankle injuries in dancers. Due to the repetitive nature of the exercises in dance classes these injuries can often creep up on the students and may be developing well before any symptoms are felt. If the subtle worry signs are not addressed, the student may develop full blown injury and be unable to dance for a several weeks. 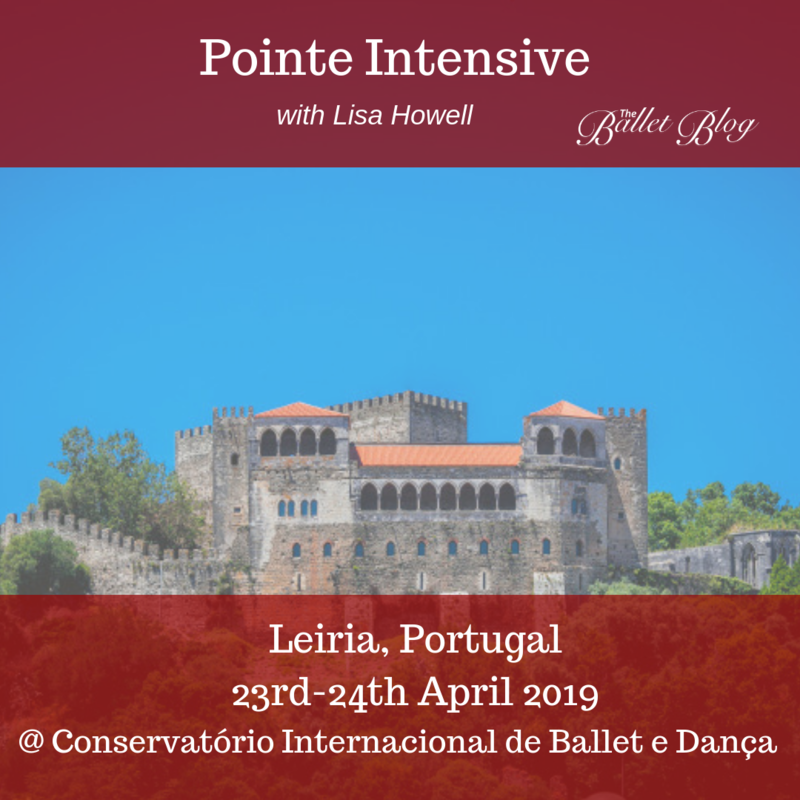 Thankfully, Lisa Howell has created this course “Foot & Ankle Injuries in Dancers” in which she addresses many of the main problems that dancers experience and gives an extensive insight into how these injuries develop, giving particular emphasis on identifying the warning signs early. In the pre-adolescent/adolescent student, it’s imperative to support the vulnerable structures in the foot and ankle. Since many changes are happening in the body during this time, attention needs to be given to certain strengthening exercises that will benefit the dancer throughout the length of their career. Some dancers, eager to get quick results, resort to using foot stretchers and other dangerous items in an attempt to get the feet they have always wanted. Not only do the foot stretchers fail to improve, strengthen and control the ankle they are also cause massive damage to the soft tissue structures in the foot. This often leads to injury and a reduced capacity to dance, rather than an improvement. Foot stretches, and many traditional strengthening exercises do not isolate the specific strength or range deficits, and actually create a further imbalance in the feet and ankles. Commonly identifying and deliberating working on specific restrictions or deficits can result in a much faster and longer lasting result. Band-ITS are the latest product in the array of tools available to dancers to assist with body strengthening and conditioning. They are two legs straps connected by a tensile piece of rubber tubing that adds resistance to all movements executed by the dancer. Working against resistance will improve the motor recruitment and therefore strength of the muscle of the movement trained. If we repeat movements against resistance we can improve the connection through the pelvis and core to the legs, strengthen turnout and improve leg height and flexibility. These improvements will be felt immediately after the bands are removed. This tool is completely user friendly and loads the dancer’s movement without putting the joints and muscles at risk. All class movements can be easily executed without needing to remove or change straps. The Band-ITS workshop runs you through how to correctly use the device safely in your studio. The course teaches a graded program of exercises that you can use immediately with your students at beginner, intermediate or advanced levels. All the exercises are taken from a 1 hour Band ITS conditioning program which can be taught as an additional program in your studio. This course is the best way to learn how to challenge your dancers safely and take their technique to the next level. Click HERE to purchase the Band ITS kit!